The fresh ocean taste of an oyster while relaxing on a luxury yacht is hard to beat. Here is our guide on where to find six of the best oysters in the world. 1. New Zealand Bluff Oysters from the southern most tip of New Zealand's South Island are some of the most prolific. Grown in the cold waters of the Foveaux Strait, the number of oysters harvested has been limited for decades, partially due to a suddenly wide-spreading a disease in the late 1980s that turned oysters black and watery. In May each year, locals and visitors alike celebrate the Bluff Oyster Festival. The arctic temperatures and great depths of the southern waters in New Zealand contribute to the Bluff Oysters' rich and succulent flavours. They are large, juicy and have an intense flavour, earning them a place among the finest oysters in the world. Though Bluff itself is a little off the beaten track, it's oysters are available across the country, so you should absolutely sail your superyacht to New Zealand — Auckland and Queenstown in particular are of to some of the world's best restaurants offering this southern island delicacy. The fresh ocean taste of an oyster while relaxing on a luxury yacht is hard to beat. Here is our guide on where to find six of the best oysters in the world. 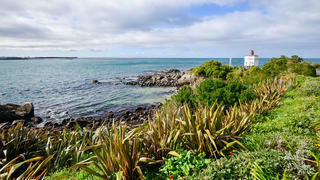 Bluff Oysters from the southern most tip of New Zealand's South Island are some of the most prolific. Grown in the cold waters of the Foveaux Strait, the number of oysters harvested has been limited for decades, partially due to a suddenly wide-spreading a disease in the late 1980s that turned oysters black and watery. In May each year, locals and visitors alike celebrate the Bluff Oyster Festival. The arctic temperatures and great depths of the southern waters in New Zealand contribute to the Bluff Oysters' rich and succulent flavours. They are large, juicy and have an intense flavour, earning them a place among the finest oysters in the world. Though Bluff itself is a little off the beaten track, it's oysters are available across the country, so you should absolutely sail your superyacht to New Zealand — Auckland and Queenstown in particular are of to some of the world's best restaurants offering this southern island delicacy. France’s most renowned oysters are Speciales Gillardeau, which are produced by the Gillardeau family. The company is based near La Rochelle in western France and the oysters are cultivated over four years following strict rules which have been passed down by four generations. 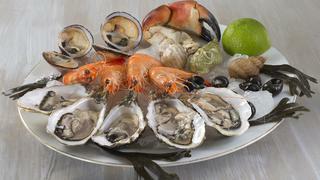 The oysters are famous for their meaty flesh which supplies an “endless ocean of flavours”. Due to the way they are cultivated, Gillardeau oysters can be eaten more than eight days after packaging so ensure your chef orders some in if you are in the country on your private yacht or enjoying a luxury yacht charter in France. 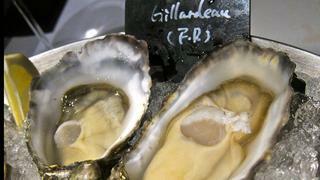 France’s most renowned oysters are Speciales Gillardeau, which are produced by the Gillardeau family. The company is based near La Rochelle in western France and the oysters are cultivated over four years following strict rules which have been passed down by four generations. 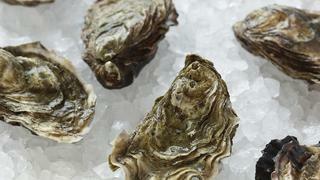 The oysters are famous for their meaty flesh which supplies an “endless ocean of flavours”. Due to the way they are cultivated, Gillardeau oysters can be eaten more than eight days after packaging so ensure your chef orders some in if you are in the country on your private yacht or enjoying a luxury yacht charter in France. Although France is normally the first place that springs to mind for the world’s best oysters, the Delta de l’Ebre, situated between Barcelona and Valencia, it a top contender. The oysters are said to have a unique flavour as they combine the saltiness of the Mediterranean with the sweet freshness of the River Ebro. Nearly 80 per cent of the oysters produced in the region are exported to France where they are then redistributed around the world. It is thought some of them even return to Catalonia but under a Gallic guise. 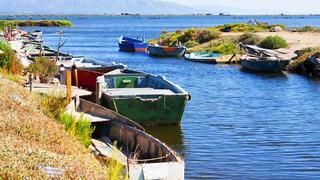 If you are enjoying a private vacation or luxury yacht charter in Spain then your superyacht chef should be able to obtain fresh oysters from the Delta de l’Ebre. 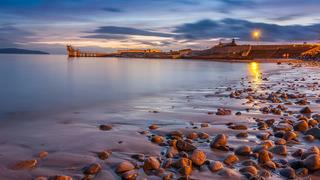 You will pass by the region if you are cruising on a superyacht from Barcelona to Valencia. Although France is normally the first place that springs to mind for the world’s best oysters, the Delta de l’Ebre, situated between Barcelona and Valencia, it a top contender. The oysters are said to have a unique flavour as they combine the saltiness of the Mediterranean with the sweet freshness of the River Ebro. Nearly 80 per cent of the oysters produced in the region are exported to France where they are then redistributed around the world. It is thought some of them even return to Catalonia but under a Gallic guise. If you are enjoying a private vacation or luxury yacht charter in Spain then your superyacht chef should be able to obtain fresh oysters from the Delta de l’Ebre. You will pass by the region if you are cruising on a superyacht from Barcelona to Valencia. Australia is famed for its Sydney Rock oysters which are found in a variety of locations around the country including - Shark Bay, the Wingan Inlet and the east coast of New South Wales. Sydney Rock Oysters are small and soft and have a distinctive taste although their flavours can differ depending on which location they have come from. You should make sure you sample Sydney Rock oysters if your are cruising in the country on your own yacht or enjoying a luxury yacht charter in Australia. Australia is famed for its Sydney Rock oysters which are found in a variety of locations around the country including - Shark Bay, the Wingan Inlet and the east coast of New South Wales. Sydney Rock Oysters are small and soft and have a distinctive taste although their flavours can differ depending on which location they have come from. You should make sure you sample Sydney Rock oysters if your are cruising in the country on your own yacht or enjoying a luxury yacht charter in Australia. Although not a traditional superyacht destination, the oysters in Ireland are reason enough to make a visit. Oysters are such an established part of Ireland’s culinary background that it has its own dedicated oyster season with food festivals all over the country. And if the world is your oyster then Galway, on Ireland’s west coast, is your home. Kelly Oysters, based in a small inlet in Galway Bay, have been described as “the best flavoured in the world”. The family-run business delivers oysters with a “big bold ocean flavour”. Although not a traditional superyacht destination, the oysters in Ireland are reason enough to make a visit. Oysters are such an established part of Ireland’s culinary background that it has its own dedicated oyster season with food festivals all over the country. And if the world is your oyster then Galway, on Ireland’s west coast, is your home. Kelly Oysters, based in a small inlet in Galway Bay, have been described as “the best flavoured in the world”. The family-run business delivers oysters with a “big bold ocean flavour”. Loch Ryan is the only active oyster fishery remaining in Scotland and has been run by the Wallace family since 1701 when the beds were given to them by King William II. Both wild and farmed oyster are still harvested at the site and they are famous for having a tangy long-lasting flavour. A letter from Julius Ceaser reportedly claims that Loch Ryan oysters are “the best in the world”. Loch Ryan oysters can easily be shipped to anywhere in the Mediterranean but a visit to Loch Ryan would be possible as part of a luxury yacht charter in Scotland or you could vacation like Abramovich and take your own superyacht to Scotland. Loch Ryan is the only active oyster fishery remaining in Scotland and has been run by the Wallace family since 1701 when the beds were given to them by King William II. Both wild and farmed oyster are still harvested at the site and they are famous for having a tangy long-lasting flavour. A letter from Julius Ceaser reportedly claims that Loch Ryan oysters are “the best in the world”. Loch Ryan oysters can easily be shipped to anywhere in the Mediterranean but a visit to Loch Ryan would be possible as part of a luxury yacht charter in Scotland or you could vacation like Abramovich and take your own superyacht to Scotland.